First founded in 1682 and within 100 years known as the “Colonial Capital of the Eastern Shore,” Easton, MD, today remains Talbot County’s “big city.” All year long, this town of 17,000 attracts art and music lovers, foodies, and those who appreciate Colonial architecture and lively Eastern Shore towns. 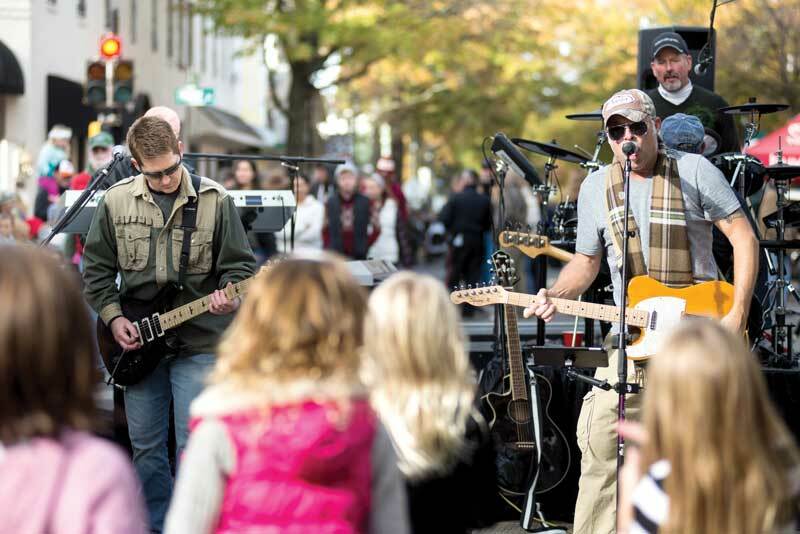 The Waterfowl Festival is one of Easton's most popular events. 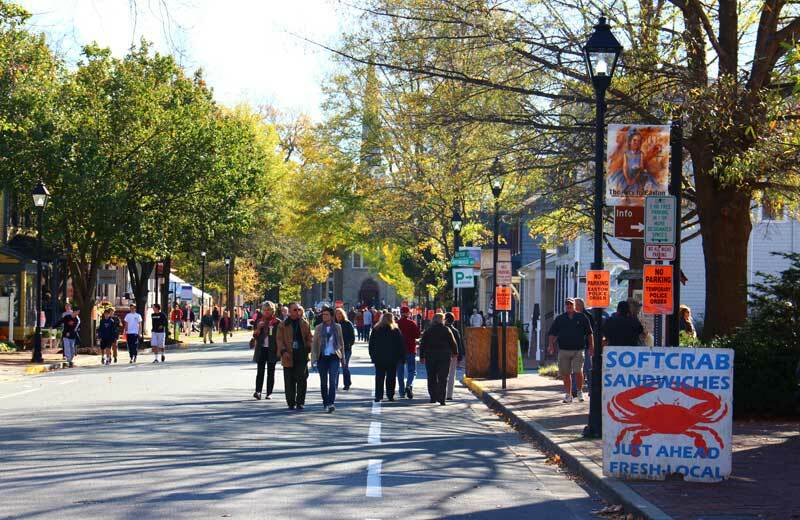 Fall is an ideal season to visit Easton, as one of its most popular festivals of the year, the Waterfowl Festival, takes place November 9-11. Painters and carvers at work, demonstrating the techniques and skills required in their creative process, as well as hand-crafted wildlife art and giftware, including jewelry, clothing, carvings, and thousands of “one-of-a-kind” items. A sportsman’s pavilion offering everything from big-game hunting adventure trips to the smallest fishing lure. Find outdoor apparel from hats to boots, calls to lure the geese, and taxidermy. Outdoor and sporting clubs and organizations will be on hand to invite new members. A wine, beer, and gourmet tasting pavilion. Also, food vendors will serve Eastern Shore favorites from crab soup, oyster Po’ Boys, pit beef and soft crab sandwiches, to dipped apples and burgers. The Waterfowl Chesapeake Conservation Pavilion will be the home for the festival’s sister conservation organization, Waterfowl Chesapeake Inc. Learn more about Waterfowl Chesapeake and partner conservation organizations and green businesses. 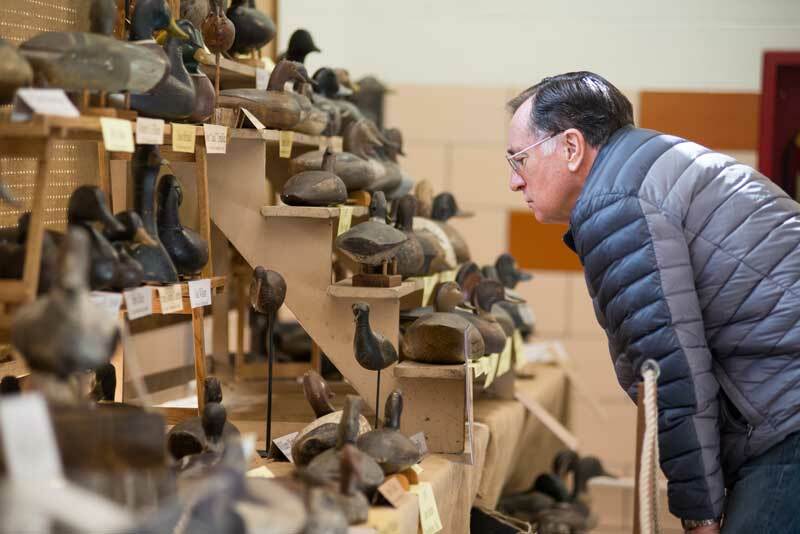 Waterfowling artifacts will trace the evolution of waterfowling from an economic necessity to the sport of today. Treasures include decoys, guns, gunning boats, and countless related items. Outdoor activities include DockDogs competitions (we know how much PropTalk readers love their dogs! ); the waterfowl calling world championships; and retriever, raptors, and fly fishing demonstrations. Adult classes include “Wine and Watercolors” and “Painting Fins, Flies and Feathers in Watercolor” with international award-winning botanical watercolor artist Hillary Parker. Kids’ activities include a Community Conservation Mural, a decoy painting class, art class, a kids’ waterfowl calling competition, a kids’ fishing derby, and a Fishmobile, where children may learn about the environmental issues on the Chesapeake and its inhabitants, such as horseshoe crabs, diamondback terrapins, oysters, and more. Sportsman’s raffle tickets go toward winning a Jon Boat with motor and trailer from Bass Pro Shops worth $12,000. The drawing happens on November 11 at the festival and live on Facebook. On Thursday, November 8, from 4 p.m. to 8:30 p.m., VIP night festivities take place: opening ceremonies, a premiere night party, an art and decoy auction, gallery tours, and more (tickets begin at $125). The festival unfolds Friday and Saturday from 10 a.m. to 5 p.m. and Sunday from 10 a.m. to 4 p.m. (three-day passes cost $15; children under 12 enter for free). The mission of Waterfowl Chesapeake is to create, restore, and conserve waterfowl habitat throughout the Chesapeake Bay Watershed and nearby coastal bays by engaging in collaborative, strategic initiatives with organizations, governments, corporations, foundations, and individuals. 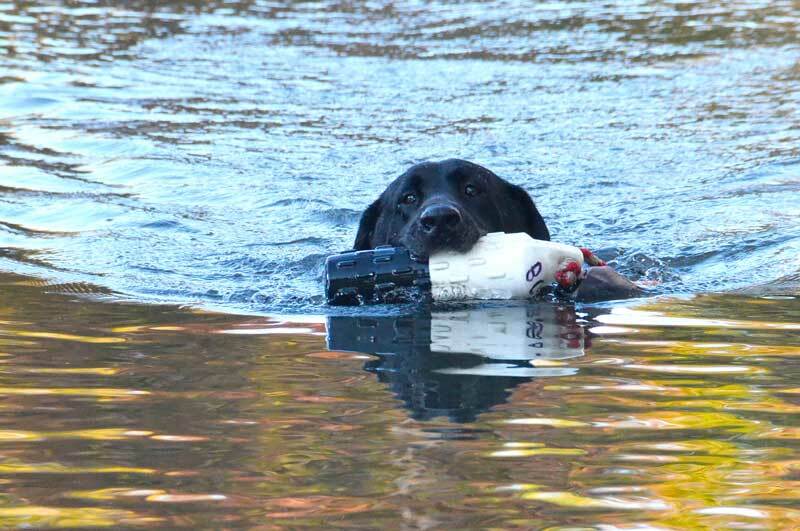 Waterfowl Chesapeake is exclusively dedicated to raising support for and engaging in conservation efforts and is the primary beneficiary of the annual Waterfowl Festival. The only marina in Easton, the Easton Point Marina, is near the headwaters of the Tred Avon River, a mile's walk from downtown Easton. Boaters will find plenty of deep water, well-marked channels, and pretty creeks to discover on the Tred Avon from the Choptank all the way to Easton. The marina offers slop rentals, maintenance, ethanol-free fuel, and kayak rentals. Easton Farmer's Market: Every Saturday from 8 a.,. to 1 p.m. April through December you'll find a wonderful market for fresh produce, baked goods, meats, flowers and plants, crab meat, handcrafted items, and live music on the 100 block of North Harrison Street. Historic Avalon Theatre: If you like cultural events, film, comedy, and music, keep your eyes on the Avalon Theatre's schedule. Upcoming events include the Pete Kilpatrick Band (September 15), Rod Picott (September 16), the Lonely Heartstring Band (September 20), the Street 45's with the Future Thrills (September 21), Rebecca Frazier (September 22), Jamie McLean Band (September 27), and Luke Brindley (September 28). Easton Beer Fest: Maryland's largest indoor craft beer festival October 6 will feature 40-plus breweries pouring 80-plus craft beers and ciders from the Mid-Atlantic region, with music by Blackwater. The festival, held noon to 4 p.m., benefits the Easton Volunteer Fire Department.